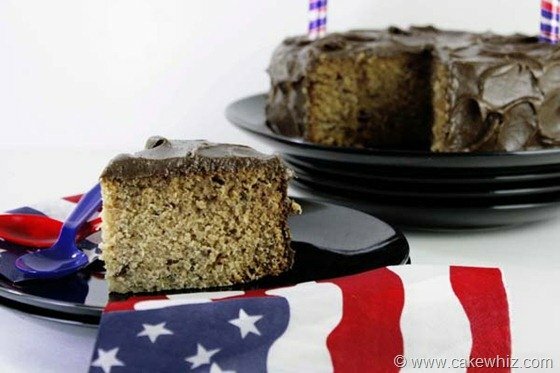 This soft and moist eggplant cake is filled and frosted in rich and creamy chocolate fudge frosting and decorated with a banner. Definitely a unique recipe! I am pretty sure you guys have never had an eggplant cake before…lol. 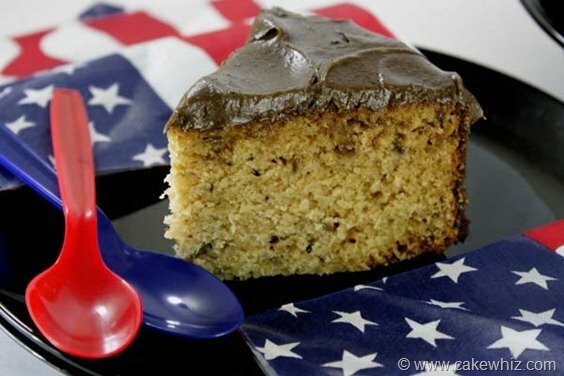 This is probably one of my most unusual recipe creations yet but totally worth it! When I told my mom I was going to make an eggplant cake, she said that even the thought of that was making her nauseous…. hahah. But, let’s think about it for a second…. We all eat carrot cake… right? We eat zucchini cake too… right? We also eat zucchini bread…. right? So, using veggies in baked goods is normal! The mission was on! I had to somehow make an eggplant plant that wouldn’t make people want to puke! I tweaked around my favorite carrot cake recipe and an eggplant cake recipe was born! YAY! 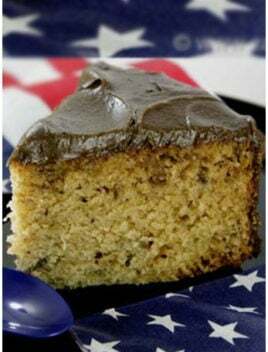 Just look at this gorgeous slice…How can anything that looks this moist taste bad?! It tastes kinda like carrot cake but with more moisture. Chop your eggplant as small as you can and keep it aside. In a deep bowl, add sugar, eggs and oil and mix everything until it’s well-blended. Add flour, eggplant, milk, cinnamon powder, vanilla extract, baking soda and baking powder. Mix everything. When everything is blended, add shredded coconut. Give your batter one last beating. Pour this batter into a greased/floured round cake pan (Dimensions 8x3) and bake for 45 minutes at 350 degrees. 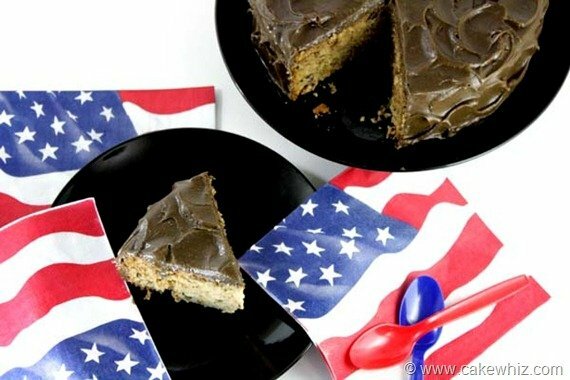 When the cake cools down, fill and frost it in chocolate buttercream icing and stick a 4th of July banner on top of the cake. Enjoy! 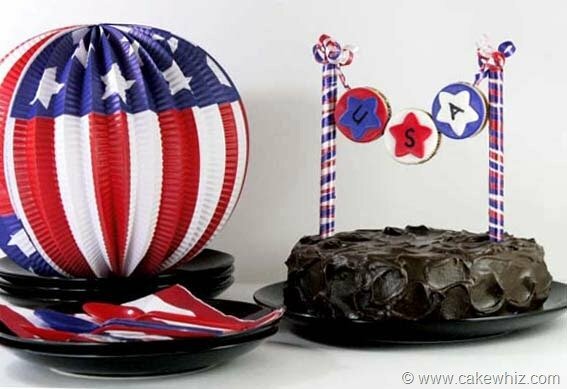 This cake makes a dome when it’s done baking. I don’t like cutting it out and wasting it. Instead, when I take it out of the oven, I use a clean kitchen towel to press gently on the top. That’s it! The top of the cake will flatten out. Do you peel off the eggplant? You can, if you want but I did not do it.